Only just recently, I have started working on an elevator speech for The Lightbound Saga books. Yes, only just recently (grins sheepishly). I have been putting this off because it is one of the hardest things to work on. 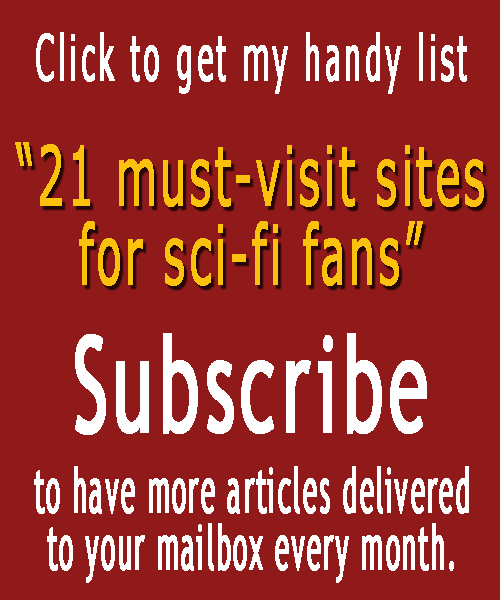 Getting a series of five books down to one sentence, 500,000+ words down to a 40-60 word logline? That is one painful enterprise. I have to get it done though, so as I gathered from a million advice articles I read up, I started thinking of the basic premises that got me started into writing these books. First of them being the state of Tansi, Maia’s home planet. Tansi is ecologically devastated, laid bare by the consequences of thoughtless technological excesses. People barely survive on its parched surface, mostly in pockets of land that have been lucky enough to survive the Collapse and its aftermath. Not everyone on the planet is in such a perilous position though. 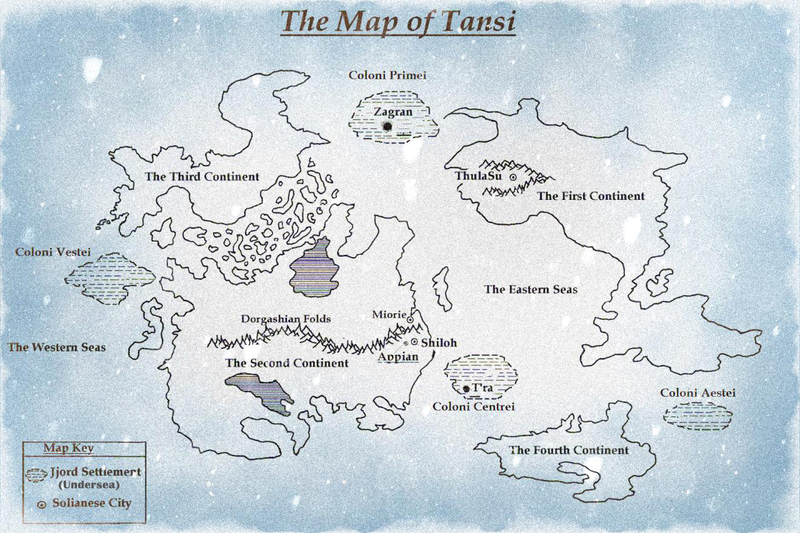 Sharp lines divide the surface dwellers of Tansi (the Solianese) from the nation of the Jjord who live in underwater cities (re: map of Tansi below). Ever since the Collapse, the Jjord have imposed the strictest sanctions on the land dwellers of Tansi and this uneasy existence continues until Xif arrives. Although the events in The Xifarian Conspiracy starts a few decades after the arrival of Xif, in my head the story goes far, far back. Thousands of years actually. I do not see myself getting into telling the story as far back, but The Lightbound Saga in its full five-book form will touch upon the history as far back as a few centuries. But pieces of that long a history is not what matters in an elevator speech, does it? 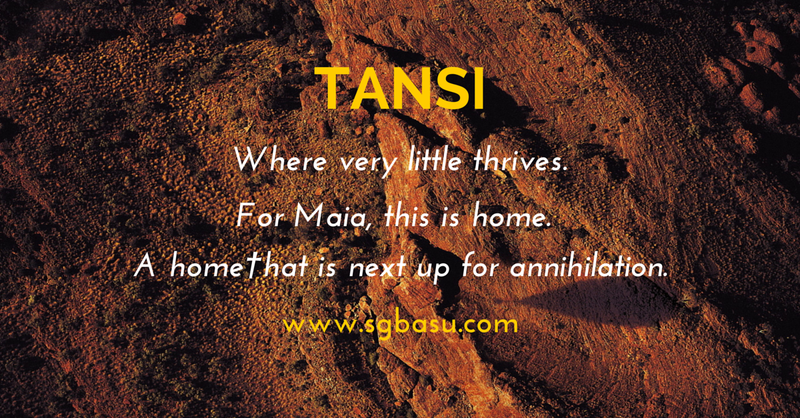 What should matter is the premise that started the current story-the current state of Tansi. Why? Because that is the reason why the people of Tansi fall prey to the Xifarians so quickly and so easily. Or maybe even that is too much detail?